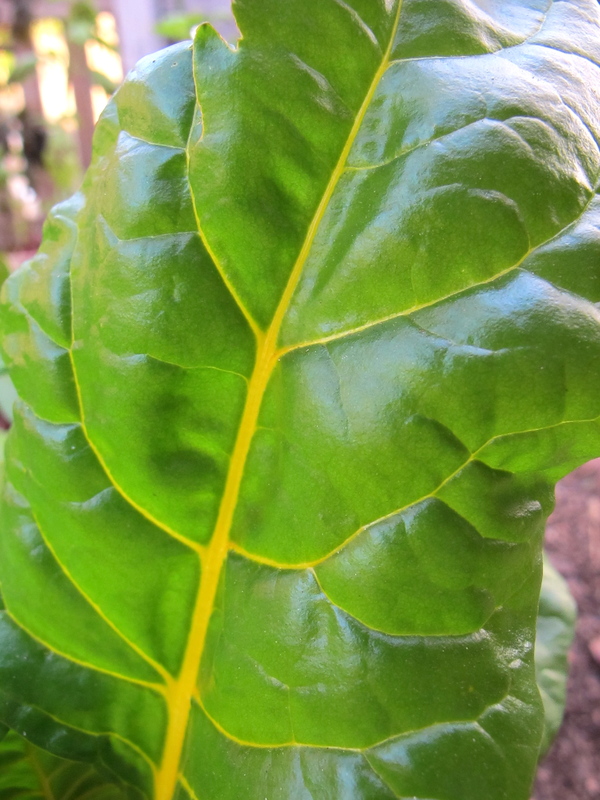 My summer garden was not what I had anticipated…too much brutal heat, too little rain. 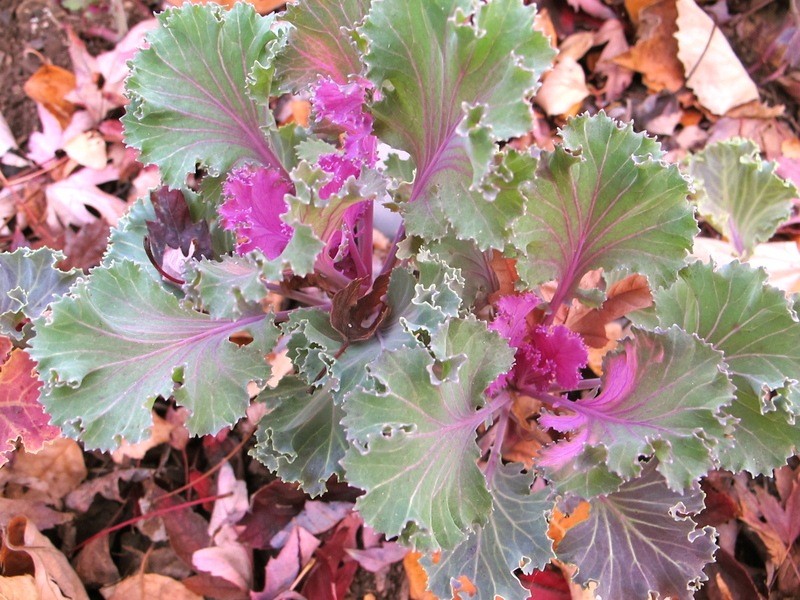 After much garden angst I decided to just stop my incessant watering and let nature run amok. And it did….basically everything except a few tomato plants and my herbs just wilted and died. Nature did its thing and I did mine by letting it do its thing. Such is the life of gardening. 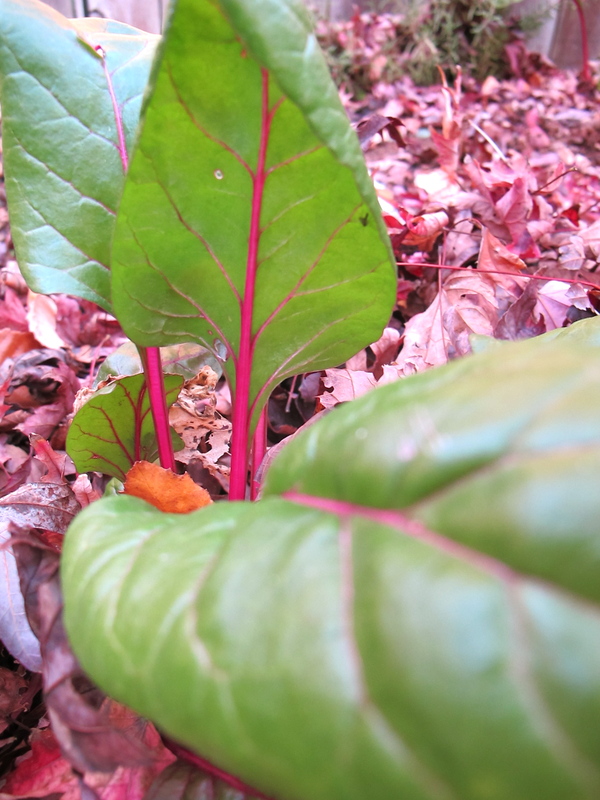 I did not let my summer garden failure stop me from having hope for my late fall-winter garden of greens. 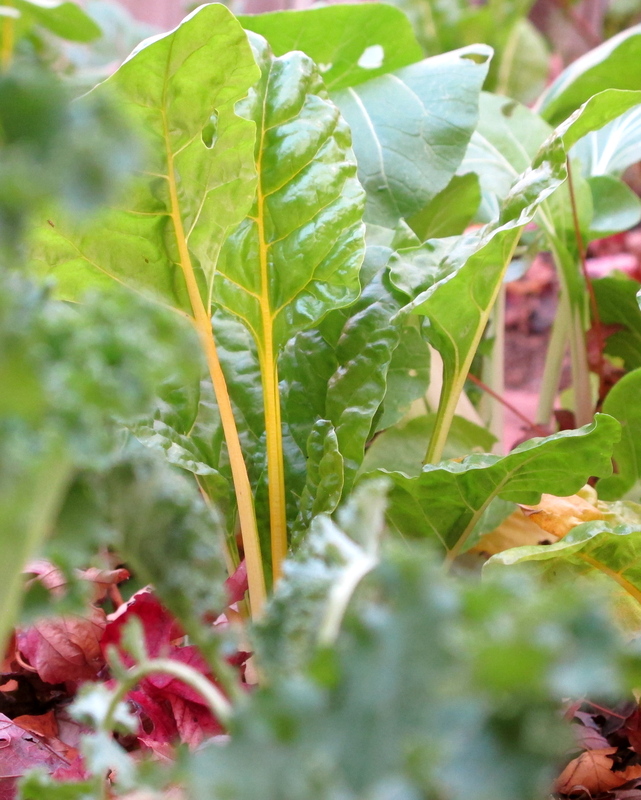 I set out plants and sprinkled seeds in late September and this week I harvested my first “greens for dinner”…two kinds of chard & kale, bok choy, collards, spinach, arugula and sorrel..bravo to the winter garden! 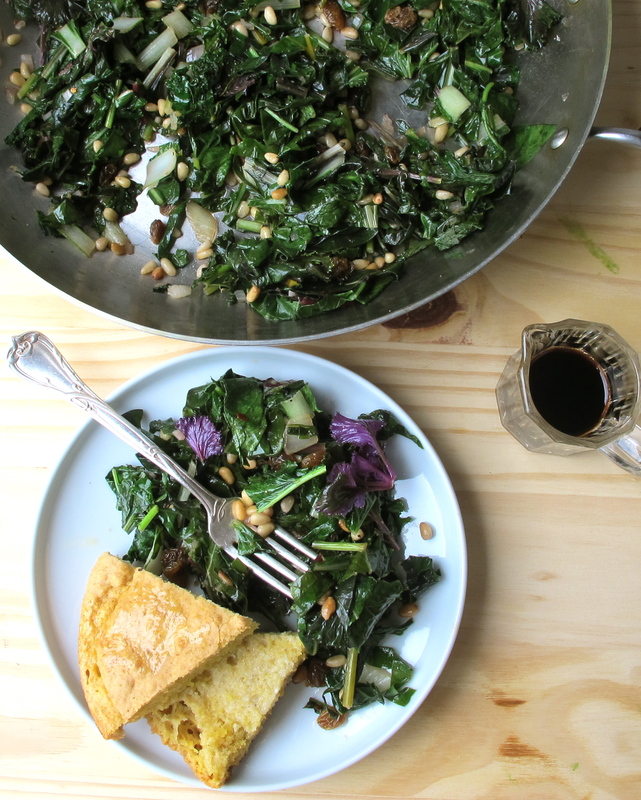 If there is one thing we Southerners really love it is our “Greens and Cornbread”. But many of us Southerners (me for one) have childhood memories of having a dinner plate set in front of me with a serving of dark-green-almost-black totally-cooked-beyond-recognition turnip greens or collard greens which I tried to avoid eating by hiding them under some other over-cooked vegetable equally unappetizing looking. I spent lots of my childhood hiding food I did not want to eat under other food I did not want to eat. 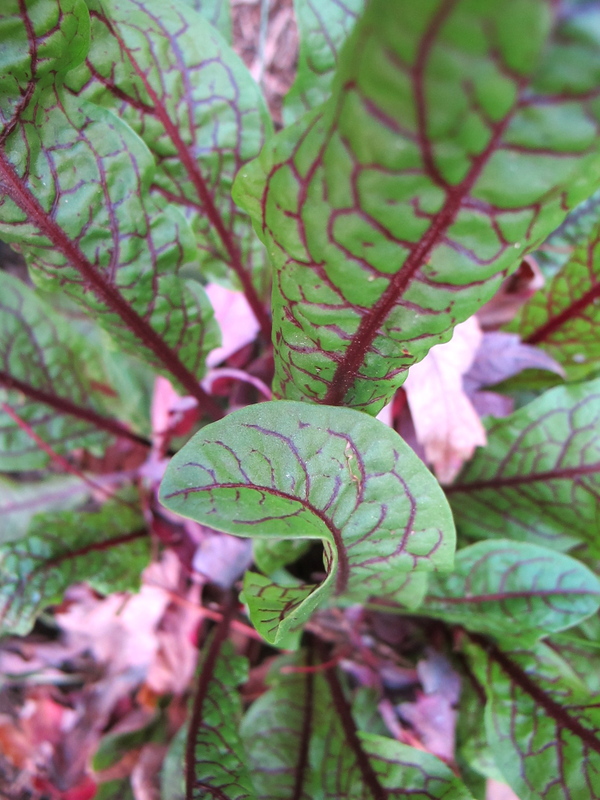 Now I rather relish eating a helping of over cooked greens at any of my local “meat & three” restaurants along with a slice of hot cornbread….every now and then. I also relish eating greens cooked my way with hot, buttery cornbread made my way which is what I made for dinner last night. 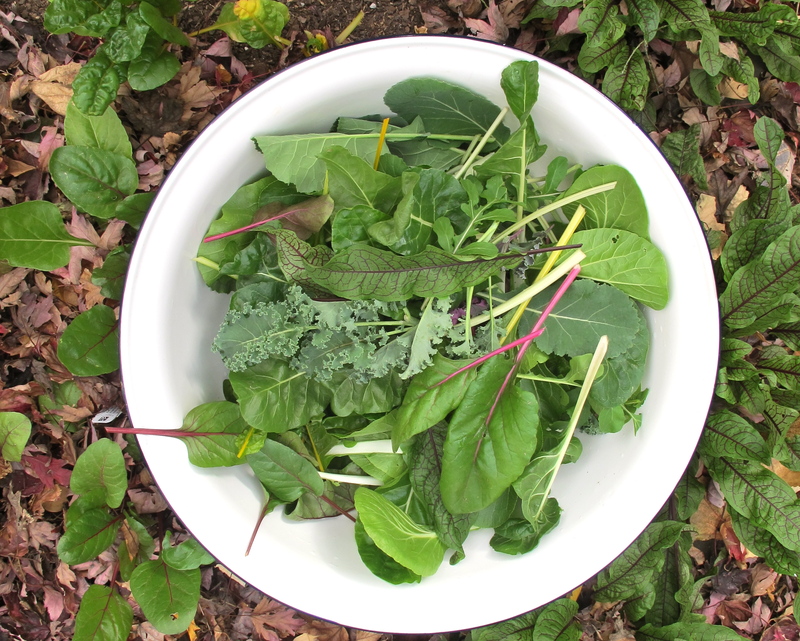 Gather or buy about 6 large handfuls of mixed greens. Rinse in cool water and shake dry. 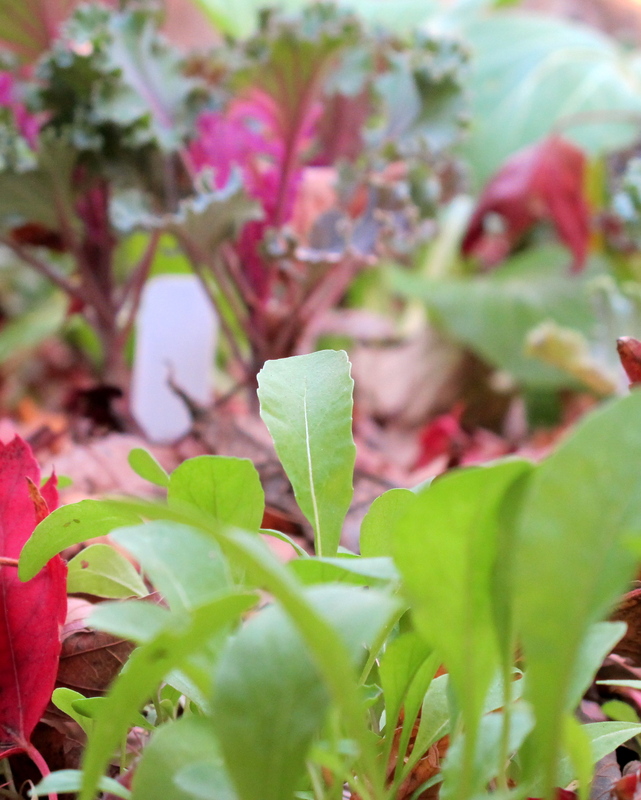 Roughly chop greens. Drizzle some good olive oil in a large heavy pan and add chopped greens. Place over medium high heat. 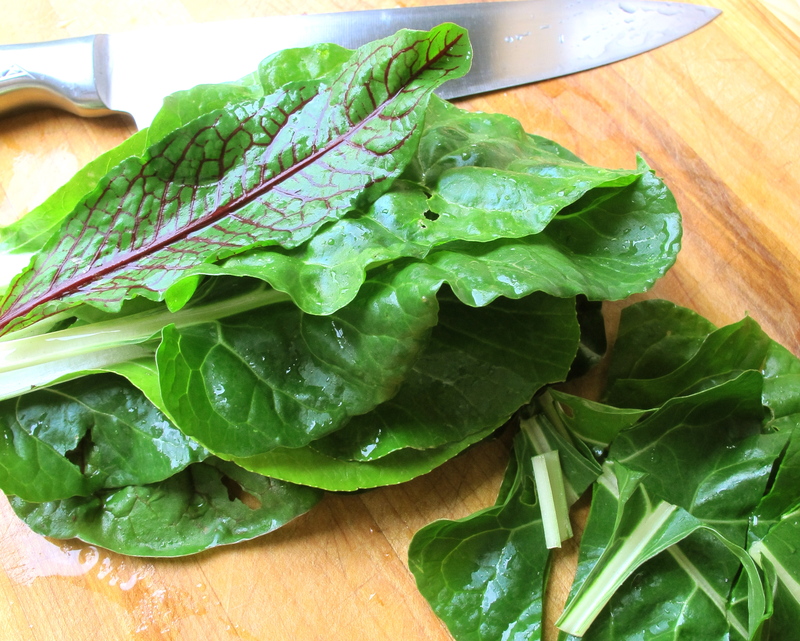 Sprinkle 1 finely diced shallot & 1 clove minced garlic over greens. 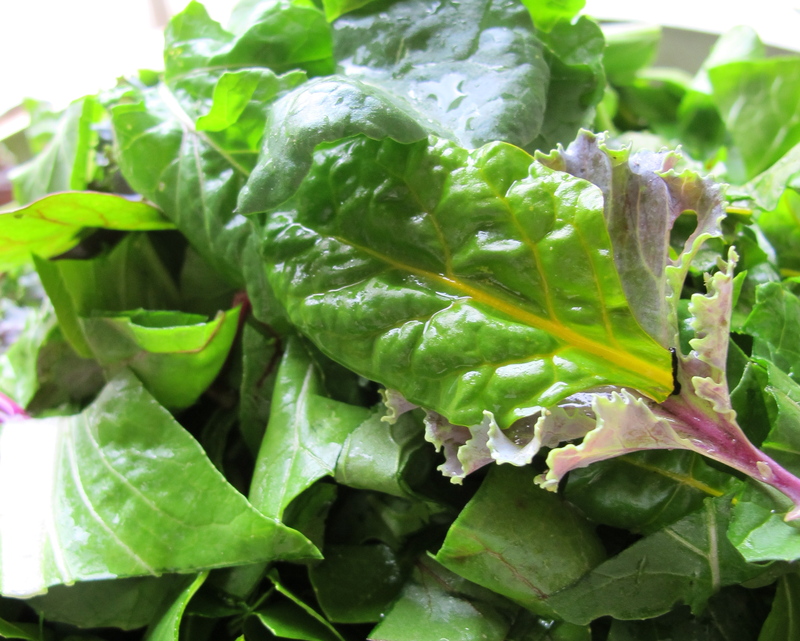 In a few minutes the greens will start to steam and wilt. 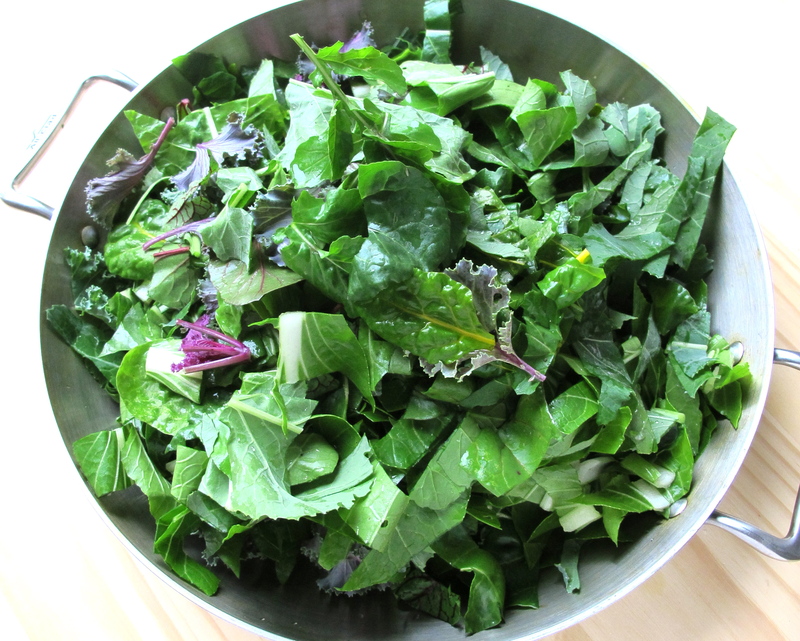 Gently toss greens as they cook. Add 1/4 cup toasted pine nuts, a handful of golden raisins, a dash of hot pepper flakes, salt & freshly ground black pepper. Serve hot wilted greens drizzled with a fruity vinegar such as black fig vinegar or a good balsamic and hot (Kerrygold) buttered cornbread. Drizzle a bit of olive oil in an iron skillet or other oven-proof skillet and put it in the oven as you heat it to 375 degrees. 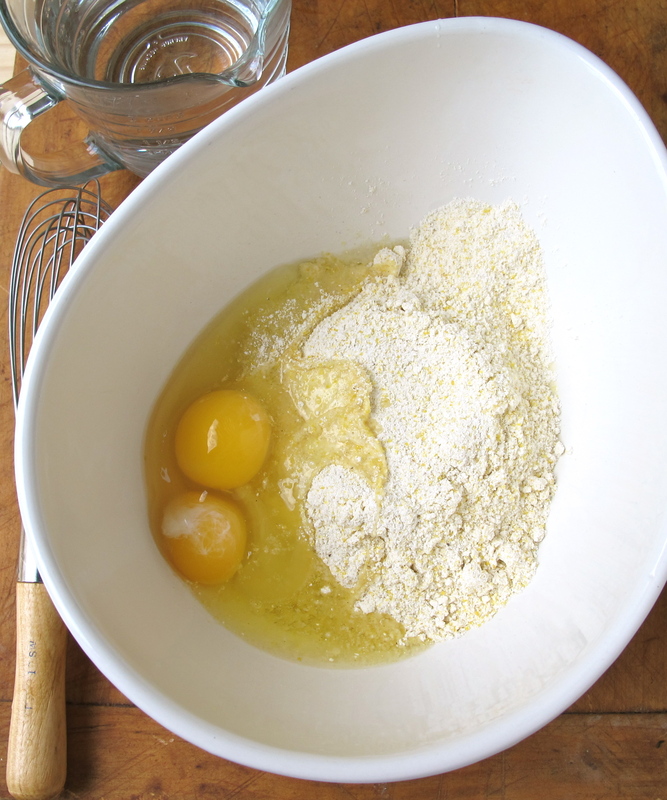 In a mixing bowl whisk together 10 ozs. 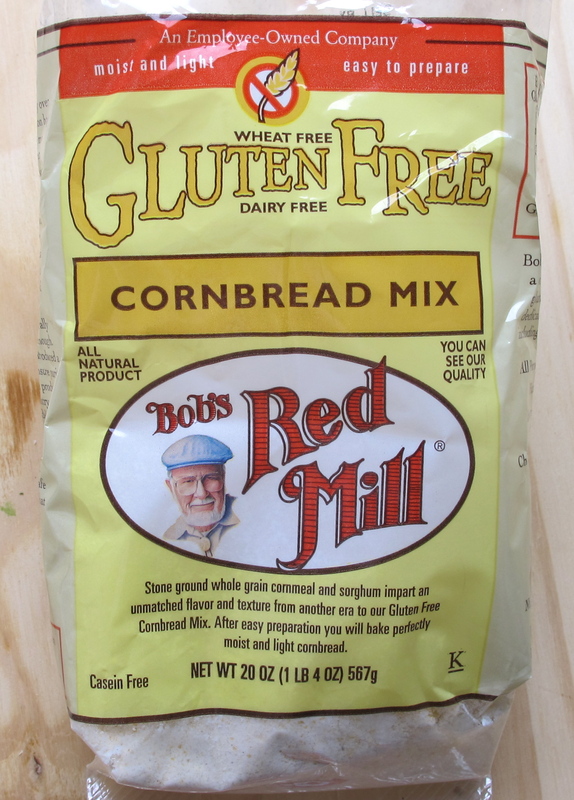 of Bob’s Red Mill Gluten-free Cornbread Mix, 2 eggs & 1 cup of warm water. 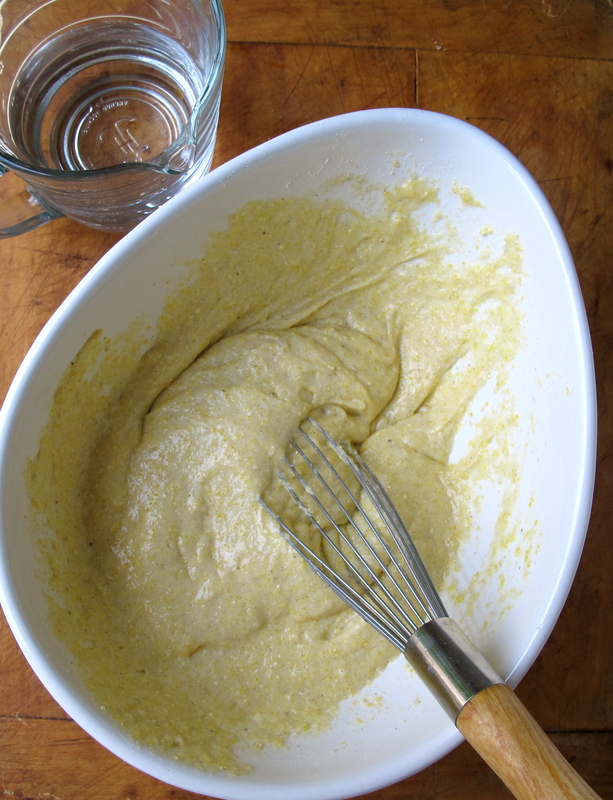 The first time I used this cornbread mix I was skeptical, but to my surprise it was very delicious and everyone who has eaten it has no idea it is gluten-free! The texture is very dense, the flavor not sweet, but buttery. I ignore the directions on the back of the package and just add eggs & water. 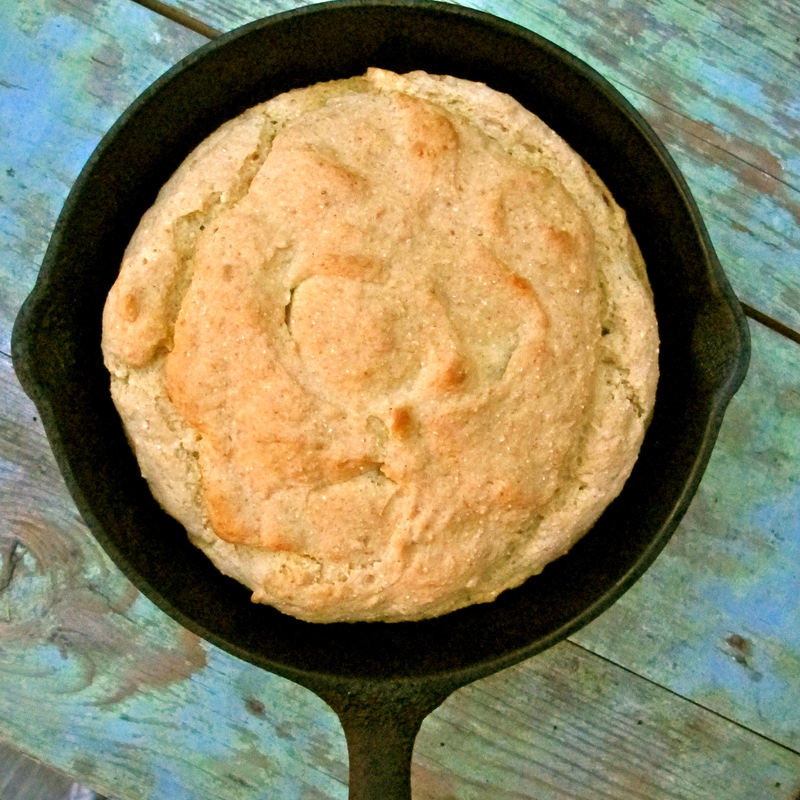 One of my favorite cornbreads was a “hot water cornbread” my Mother used to make. This is similar. A great find. Remove hot skillet from the oven and scrape the cornbread batter into the skillet. Put back into oven and bake for about 30 minutes until cornbread is cooked throughout and light golden brown. 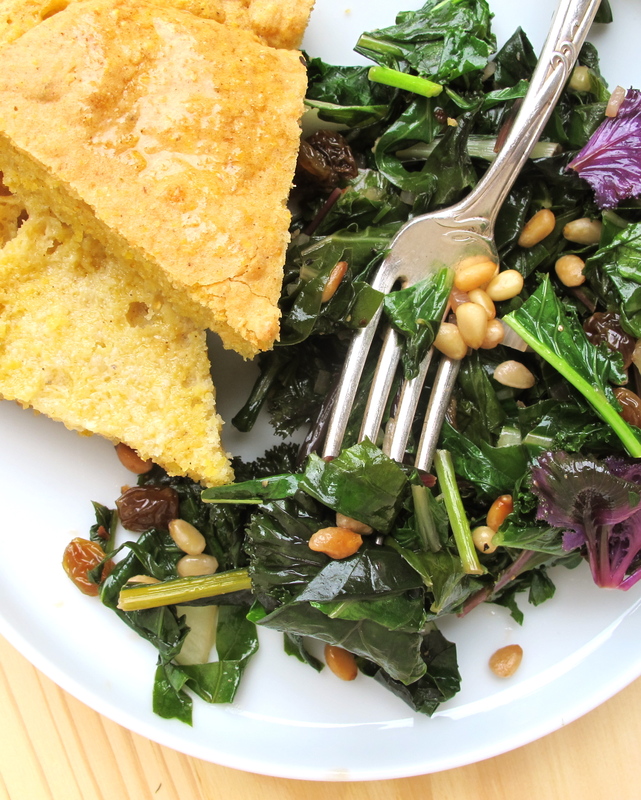 Serve cornbread slices with a slathering of softened Kerrygold butter alongside a plate of Greens. So…for you greens and cornbread skeptics, you non-Southerners who think you do not like this traditional Southern fare, you Southerners who have never eaten greens still a bit crunchy with just the right wilted-ness combined…I ask that you try this simple little set of recipes and let me change your mind. 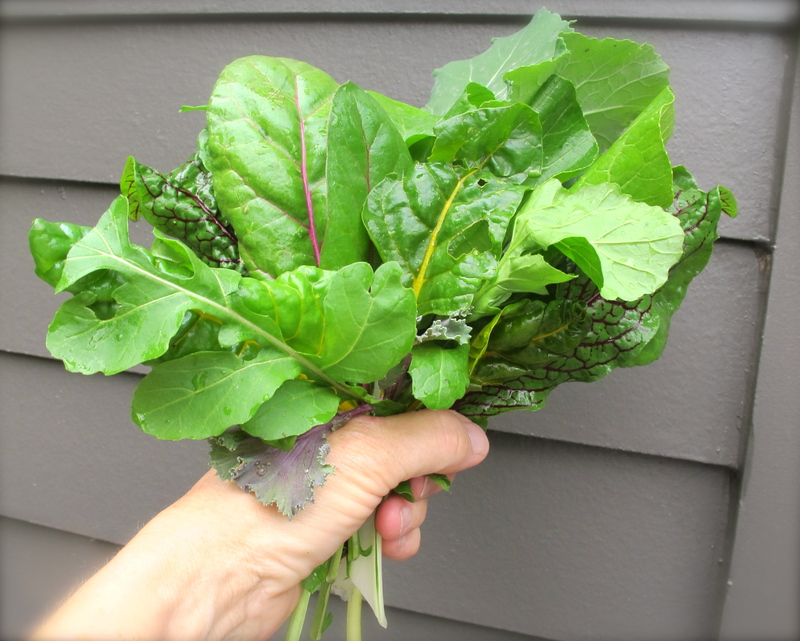 A little bouquet of greens. There was a cornbread festival here the other weekend, drew about 5,000 people. No kidding. This is my kind of meal. Such nice photos too. you don’t have to tell me twice! i’ll take a bowl full! PS. i’m stoked to be in your blog roll Teresa. I hope you don’t mind, but I added you to mine as well. What a lovely story, I can just see you, pockets full of something you were absolutely not going to eat..very funny image. Greens have come a long way. 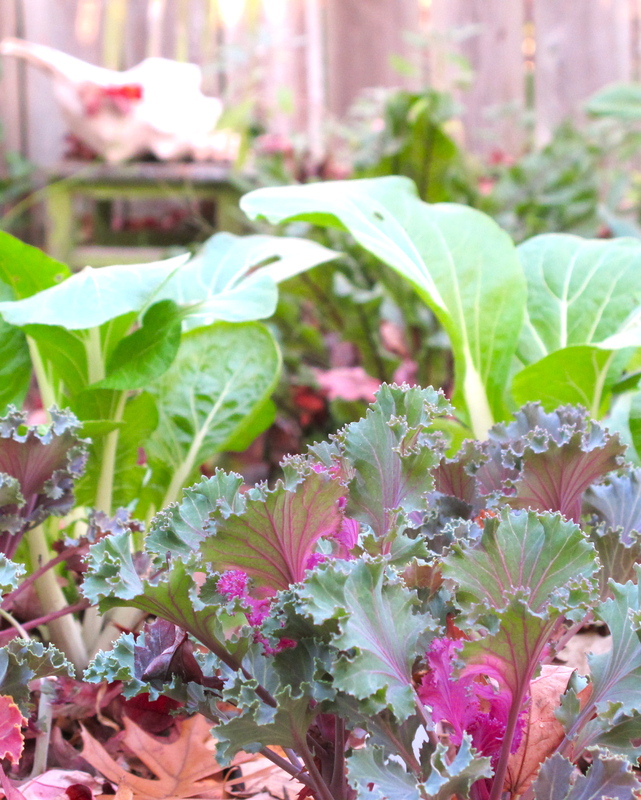 I love Nigel Slater’s recipes for greens and all things from winter gardens. I have both of his books and he is one Brit who really likes his greens. Your photos look like still life paintings. Greens and cornbread are so great. 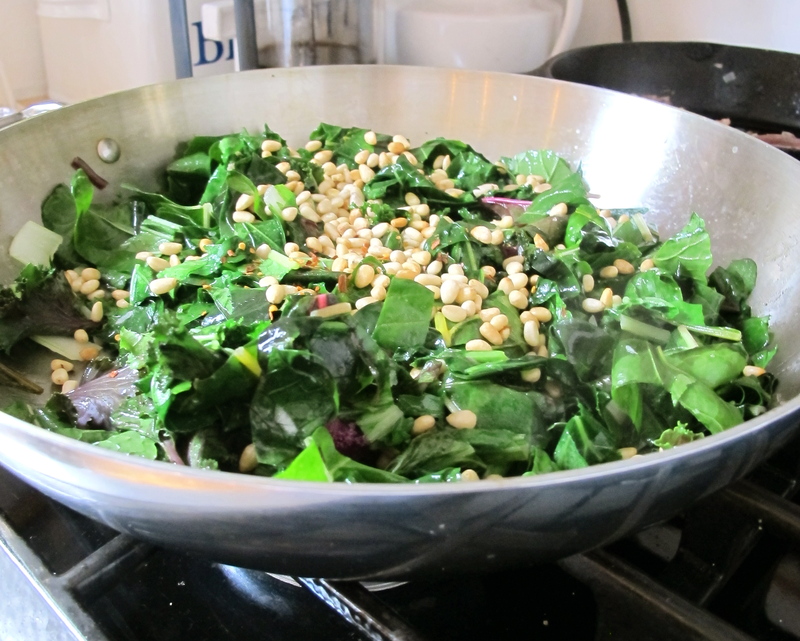 I use pine nuts and raisins with spinach. The first time I had it was at a great Spanish restaurant. Karen, thanks so much. As a matter of fact I have been creating some new painting from some of my photos of food I have done for my blog entries. 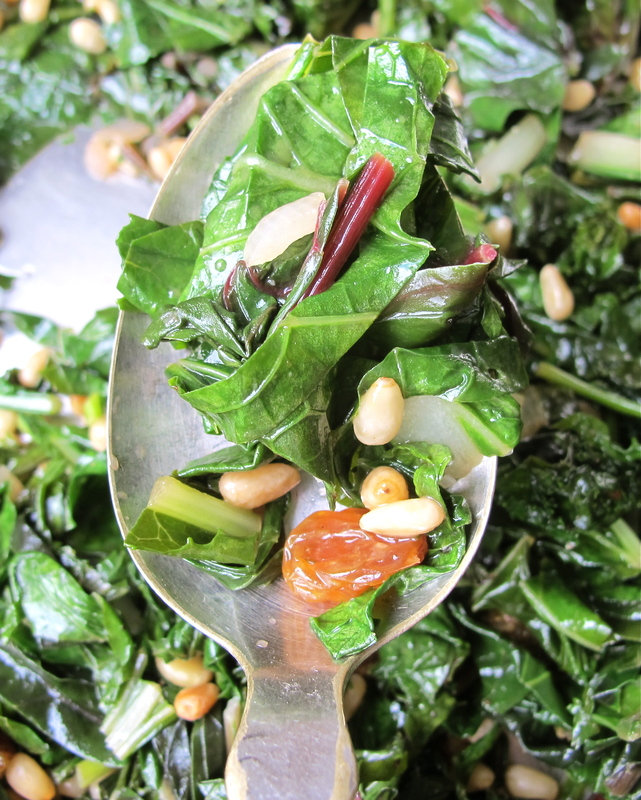 Aren’t pine nuts and raisins great with greens? I will toss some into my spinach next time. Best to you. My wife has gradually made me a fans of greens, but if there had been corn bread involved from the beginning I’d be a huge fan already! Oh Yeah cornbread with butter makes everything better. Bon Appetit! Beautiful! 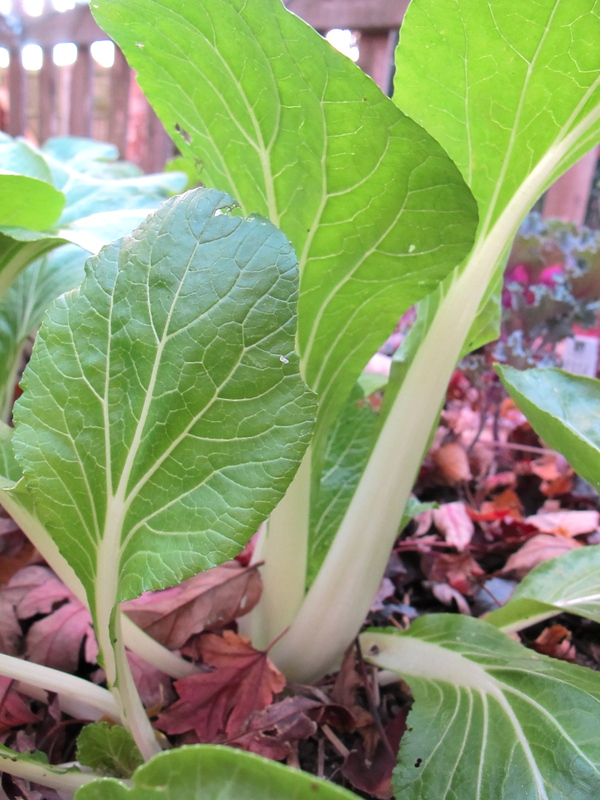 I’m so glad that the winter garden has been successful–it should continue supplying you and Wouter with gorgeous greens throughout the cold weather months. I saw you over at Nashville Food Blog Forum. You have a beautiful blog. I love greens, but more the way you have fixed them. I also think the tart in your last post is smashing. Look forward to meeting you. Angela, thanks for getting in touch. I look forward to meeting you as well and am on my way to check out your blog. I appreciate the fab comments from you.